The e-commerce giant more than doubled the number of employees it hires for the holiday season since 2012. In less than a decade, the number of temporary employees in the U.S. that Amazon hires each holiday season has grown from zero to more than 120,000, according to company records. Last week, the Seattle-based mega-corporation announced that during this coming holiday season, it would match its 2016 total of 120,000 seasonal employees, while expanding that hiring geographically from 27 to 33 U.S. states. Amazon remains among the largest seasonal employers in the nation. Minneapolis-based Target is hiring 40 percent more seasonal workers in 2017, bringing its total to 100,000. Other companies hiring big for the holiday season include Atlanta-based UPS, which is hiring 95,000, and Cincinnati, Ohio-based Macy’s, which is hiring 80,000 seasonal employees. Between 2012 and 2015, Amazon’s holiday hires doubled from 50,000 to 100,000 employees. This will the first year in the better part of a decade where the number of seasonal hires did not increase sharply from the year before. One possible reason that seasonal hires have levelled off may be the rapid increase in the use of robots at Amazon's fulfillment centers. Amazon curently employes 80,000 robots at its fulfillment centers, Jeff Wilke, CEO, Worldwide Consumer said at the GeekWire Summit last week. Amazon’s first holiday hiring push actually happened in its home state of Washington. In August 2008, the company issued a press release announcing a hiring event for the holiday season in Kennewick, Washington, where it would hire 250 full- and part-time seasonal customer service positions. 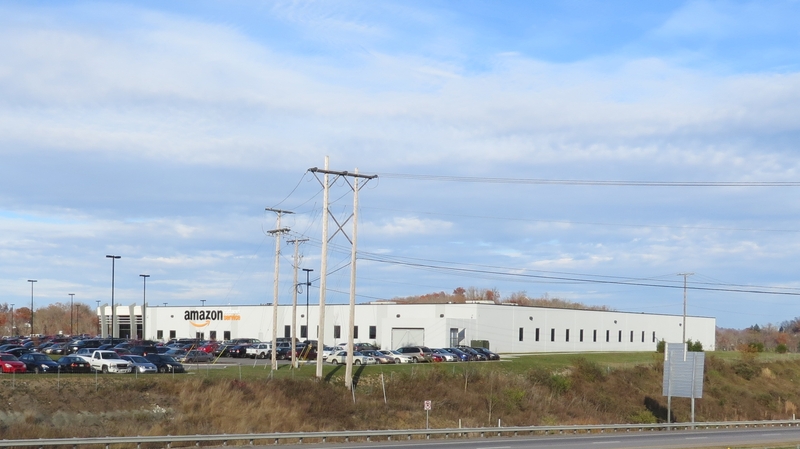 Wilke recalled that in the early days, employees from corporate headquarters would be sent to fulfillment centers over the holiday season to help fill orders. Former employees remember spending Christmas days working in fulfillment. Wilke said he now wears a flannel shirt every day during the fourth quarter as a reminder not to get too corporate. No mention of seasonal hiring came again until 2010 when the company hired “thousands” of temporary employees in Campesville, Kentucky; Lexington, Kentucky; and Las Vegas, Nevada. In 2011, again “thousands” of season hires were made in Kentucky, Nevada, India and Kansas. The turning point came in 2012, as the number of fulfillment centers expanded to 40, which employed 20,000 on a permanent basis. Now, 125,000 permanent employees are working at 75 fulfillment centers, and Amazon is showing no signs of slowing down anytime soon.